Did you know that challenge coins could be shaped like a dog tag? Dog tags were originally used in war to provide important information about a soldier, such as name, blood type, religion, etc. Over the years, they have become something of a novelty for soldiers and civilians. 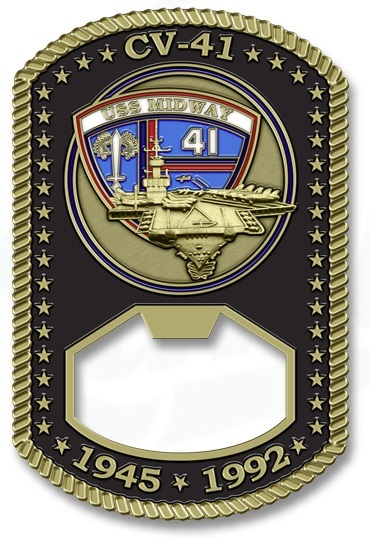 Now with the new design options of challenge coins, dog tags can display all kinds of creative images and symbols. 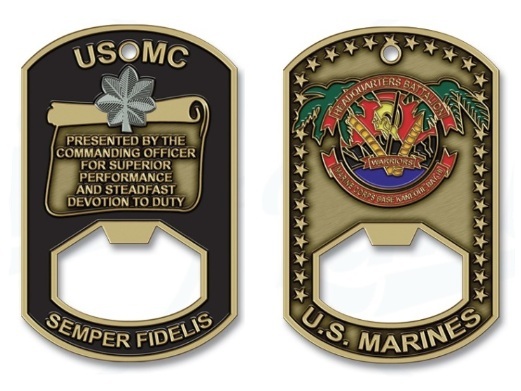 Knowing the design options that are available to you will help you to customize the perfect challenge coin dog tag. Military service people around the world use dog tags. What every country’s dog tags have in common is they are used to provide vital information for each individual soldier. Going back to the United States Civil War, soldiers realized that they needed some kind of identification to be recognized if they were mortally wounded in battle. This way their family members would be able to bury them. Because they did not have customized dog tags, soldiers would attach a piece of paper on the back of their coats with their name and home address. Others would carve their identification information on the back of a belt buckle. Dog tags are still used today by military combatants around the world. 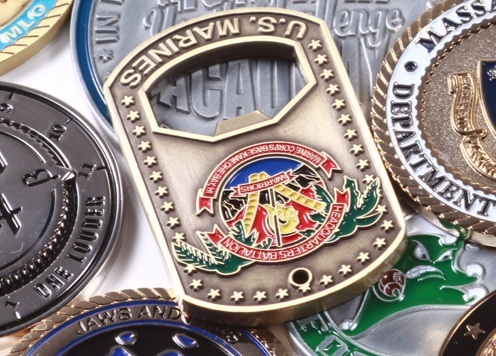 Thanks to innovations offered by manufacturers of challenge coins, dog tags have all kinds of new designs on them. When looking for a challenge coins in the form of a dog tag, you want to consider a number of things. One of the first questions you should ask yourself is: how do I want to carry my dog tag? Challenge coins shaped as dog tags can connect to a key chain, tie around your neck, or simply be placed in your pocket. A new trend that you might find fun is having your challenge coin dog tag designed as a bottle opener. It all depends on your preference. 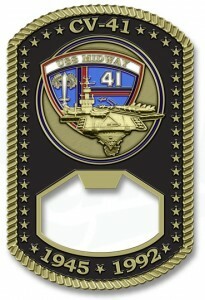 The horizontal display is ideal for tags with large pictures or emblems, while the vertical design has a teardrop look that many collectors find unique. In order to decide which one is right for you, first consider the imagery you want displayed on your dog tag. There are countless styles to pick from. Very often dog tag challenge coins commemorate a special moment, or recognize unity and friendship between members of an organization. Whatever the purpose for your dog tag, make sure it includes the unique elements of the moment. Surfboard shaped challenge coins for the 324th Intelligence Squadron in Hawaii. Just when you think the shape of a challenge coin has been pushed to the limits, BAM….another interesting and conversation inspiring coin comes out from the folks at Challenge Coins Limited. This time in the shape of a surfboard….but wait…this one is dual featured. It also has a bottle opener cut-out that is fully functional! When we think about the Hawaiian Islands, surfing naturally comes to mind. The two basically go hand in hand. That’s why the 324th Intelligence Squadron based at Hickam Air Force Base, HI chose to use the shape as the basis for their coin. 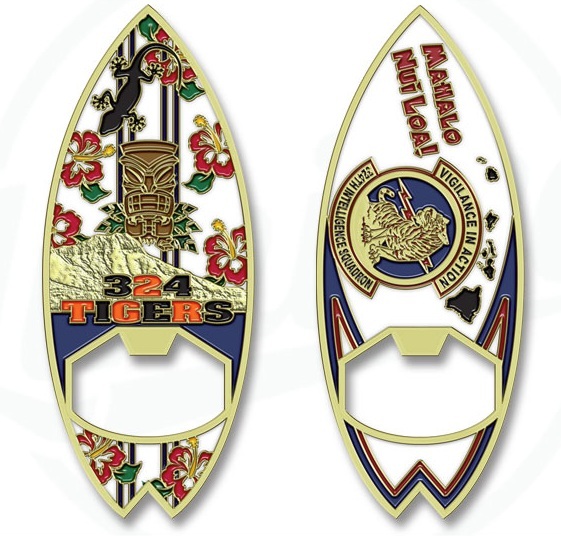 Measuring 2.50″ in height and plated in high polished bronze, the 324th challenge coin displays the Squadron’s logo and many tell-tale Hawaiian attributes. Note the Tiki, lava mountain range, and red and white pua aloalo flowers spread about the obverse side. Is your unit or group based in Hawaii and interested in having custom coins made? If so you can give us a call at 1-800-818-3229 to discuss your project. 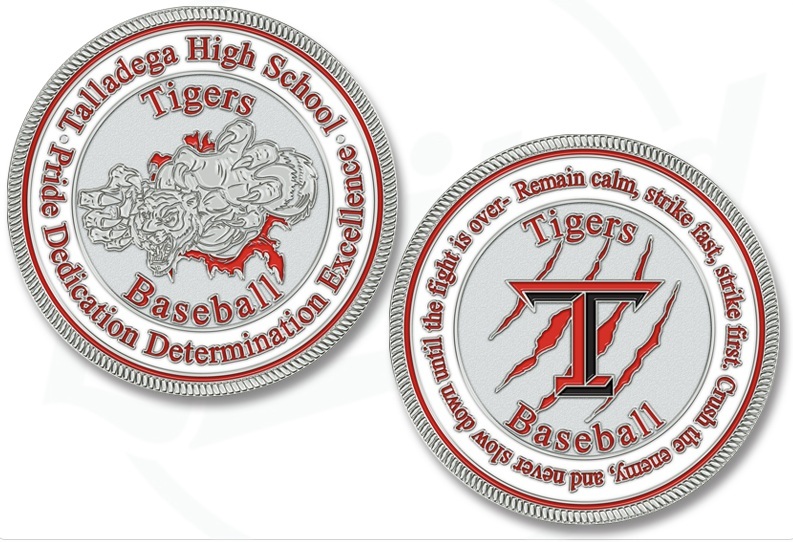 We have the ability to feature your very own local design into a challenge coin with ease. Visit our gallery or coin design page to see other designs that may help you along the way. Geocachers use tracking systems to hunt for “treasure” like pirates of old, minus the pillaging and poor hygiene. The treasure is not gold or anything of substantial monetary value, but instead, unique items called geocaches that are hidden by other geocachers. Geocoins make for the perfect geocaches due to their coin shape and customizability. While they are not typically worth much of anything money-wise, the reward for finding them is the enjoyment that one gets out of the adventure. Geocoins and other types of geocaches can be anywhere, from your own neighborhood to the other side of the planet. More than one million caches are to be found all over the globe. Cachers do not typically keep caches when they find them. Rather, they leave them in place, or move them to another location for other cachers to find. Geocoins are often used for geocaching. Like pieces of eight or gold doubloons, these special challenge coins can resemble riches from a treasure chest. Geocoins are often personalized with the state or name of a cacher. They can be inscribed with tracking numbers or tags that trace the “hitch-hiking” token’s journey. Geocaching is popular with hikers and recognized by the United States Forest Service as a legitimate outdoor activity. Geocaching is discouraged in some National Parks because it could potentially harm wildlife or disrupt traffic on popular footpaths. To some, caches seem like litter and aren’t appropriate in designated wilderness areas. But geocachers follow codes that hold them responsible for the maintenance of their geocaches. Sometimes they even use virtual caches that don’t involve objects or logbooks and respect the low-impact guidelines of wilderness areas. However, mischief-inclined cachers can plant “evil caches” that are purposefully difficult to recognize. Geocaching is a “hi-tech” hobby that inspires seekers to go outdoors and explore with friends. In the early 2000s, when geocaching began, the cachers relied on GPS systems to find geocoins and other caches. Now, apps make caching accessible to smart phone owners. Geocaching apps offer cache locations, clues, and a simulated compass. With a little imagination, an iPhone screen is a crinkled pirate map, and the blue dot position locator is the “X marks the spot.” Cachers, through their adventures, are linked to fellow treasure hunters. They can share their experiences on the Internet or sign their names in cache logbooks. Uncovering caches offers a sense of accomplishment to seekers whether they are “FTF” (first to find), or among other successful searchers. If you would like to order geocoins, and join in on the treasure hunt like activity of geocaching, please fill out your quote for challenge coins today. 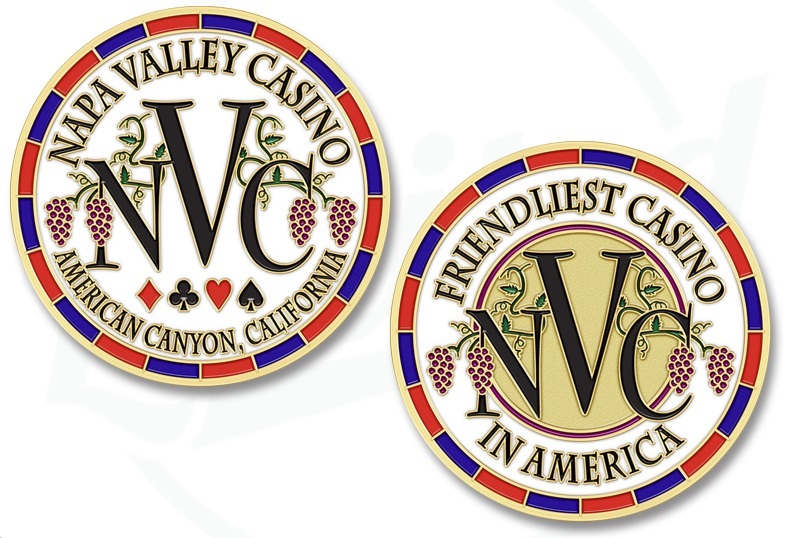 Known as “The Friendliest Casino in America,” the American Canyon, California based Napa Valley Casino wanted to extend their hospitality in the form of a challenge coin that reflected their unique and regional-specific logo. The designers at Challenge Coins Limited were able to use the existing logo to create and mint a very attractive coin for their use. At first glance one should recognize the tell-tale grape vines indicative of this region of California. These grape vines encase the “NVC” and the outer edge of the design mimics an actual poker chip. Combining wine country appeal in gold plating and authentic poker-chip characteristics are just another example of how versatile a custom coin can be. NVC features over a dozen poker tables and other venues for the serious player or casual visitor. It wouldn’t matter what time of day you plan to visit as their doors are open day or night, at all hours. Local and regional tournaments are held at certain times of the year, and if you are lucky enough, you may even get a glimpse of the coin we were a part of. We’ve found that one thing remains constant when it comes to designing coins, and that is that everyone wants their challenge coin to be somehow “different” than the next. One feature that isn’t so often utilized is our glow in the dark enamel color fill. This special coloring allows for any area that is able to colored to glow when exposed to any light source, and then presented in darkness. The coin above is just one example of how this option can be used, but keep in mind any area of your coin can be made to glow. Challenge Coins Limited has minted many of these coins approaching Halloween, a few for our corporate customers, and hundreds using this technique for military units. An interesting application for this option is coding. Some clients have filled only select areas of their coin with glow in the dark enamel so that a hidden message, or code, is seen only when the coin is viewed in darkness. Additions like this can make your challenge coins really stand out from the crowd in terms of originality. Most recently, a company that specializes in Night Vision equipment used the glow in the dark enamel for their coin – a perfect fit given that the enamel glows in a “greenish color” that is often seen through a viewfinder on such equipment. 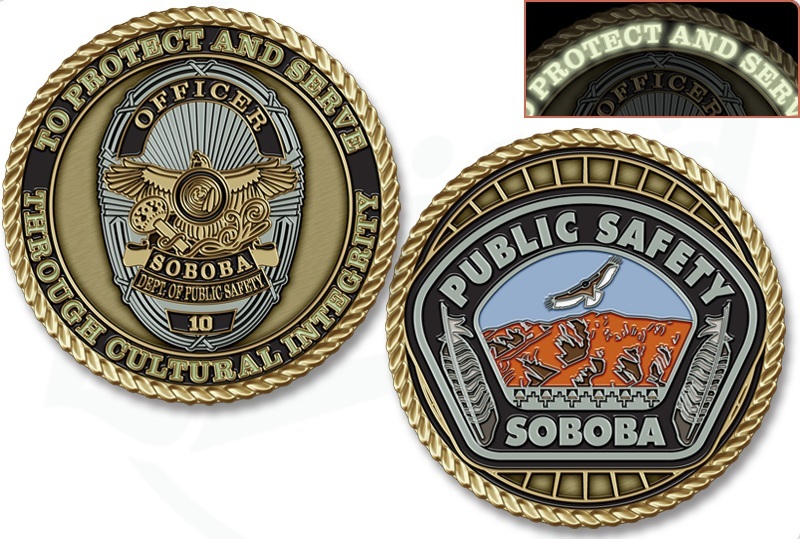 One downfall of the glow in the dark option is that you won’t want to combine it with an epoxy coated challenge coin. The epoxy will limit the amount of light that interacts with the special enamel, causing a diminished “glow” effect. While most of the coins we sell don’t have an epoxy coating, we thought we would point this out before you decide to take your design to the next level with this option. We actually learned the hard way – experience counts! To find out more, reach out to us via our website or email at: info@challengecoinsltd.com. Is your Chamber of Commerce celebrating a significant milestone in your community? 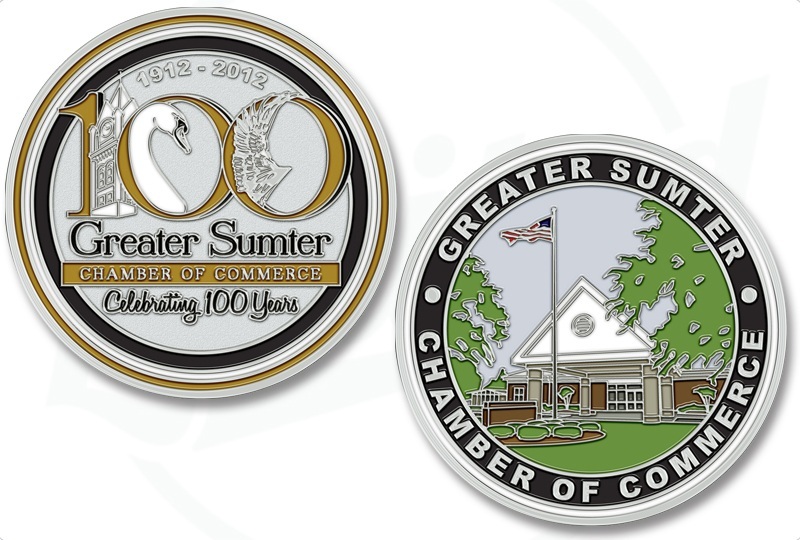 The Sumter, South Carolina Chamber of Commerce used our services to design a challenge coin for their upcoming 100th Anniversary celebration on May 16th, 2012. 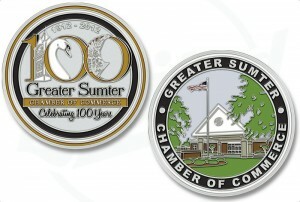 Their coin shows the historic building on one side and colorful representations of the Sumter, South Carolina area on the other. This coin is plated in high polished silver with a standard edge at 1.75″ in size. The first 500 coins will be used at the event as celebratory pieces with more coins being rolled out at a later date. 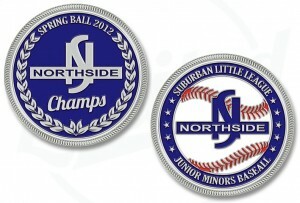 Custom coins are great for any event, large or small. Since they are a hard, durable good…they don’t get tossed aside or end up in the trash can when your event is over. People tent to collect and display these coins over time. In fact, they have even evolved into a new business card of sorts. If you are in the Sumter area on Wednesday, May 16th, stop by and join the festivities. The even will be held at the Sumter Civic Center located at 700 W. Liberty Street with drinks being served at 6:30pm and dinner beginning at 7:00pm. There will also be a silent auction, live music, photography and additional cuisine offered. Please call 803-775-1231 for complete details. Sumter, South Carolina is centrally located in the middle of the State and is widely known as the Gamecock City. It’s diverse culture and business elements make it ripe for growth, and with under 100 miles from the beach one might see why this is a desirable place to live and raise a family. Put your event on a custom coin by contacting the experts! Challenge Coins Limited works with organizations big and small to find an attractive and tasteful solution to their celebration needs. With our creative artists and exemplary service, this is one task that your organizer won’t have to stress over. Call 1-800-818-3229 to get started. When the El Paso, Texas Fire Department needed a new coin to present to it’s training graduates, they commissioned Challenge Coins Limited to come up with a unique design that portrayed not only their recognizable logo, but also their core values. The El Paso logo is quite intricate, which created a “challenge” for the design department as far as fitting each element on a coin. 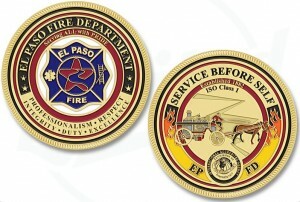 Gold plated custom challenge coins for El Paso, Texas Fire Department. Click the coin image above for detailed view. When a challenge coin is deigned, the actual specifications of manufacturing capability must be adhered to. What does this really mean? Well, you can’t simply slap a logo on an artwork file for production and just hope it turns out well. Metal line thicknesses are critical when it comes to a finished coin looking good. A quick glance at the El Paso example to the left reveals very small details within the reverse side. Knowing the manufacturing limits is critical for such detail to turn out well. On the other hand, there is quite a bit of small text in the lower “International Accredited Agency” seal near the bottom. This small wording is actually beyond the minimum requirements for line thickness. The solution: silk screening. Silk screening very small text is noting new and quite common, especially in lapel pin manufacturing. This technique applies the desired color to the surface metal of the coin. Before you ask, we’ll let you know that silk screened text, or imagery, is very durable – it does not scratch off. 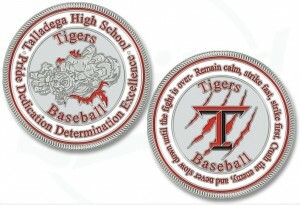 To make this challenge coin even more distinctive, we created a custom edge just for this coin. The edge is actually an adaptation of a “Rope Edge” that is fairly common on some custom made challenge coins. Challenge Coins Limited is able to tackle just about any design issue that may arise when composing your coin. 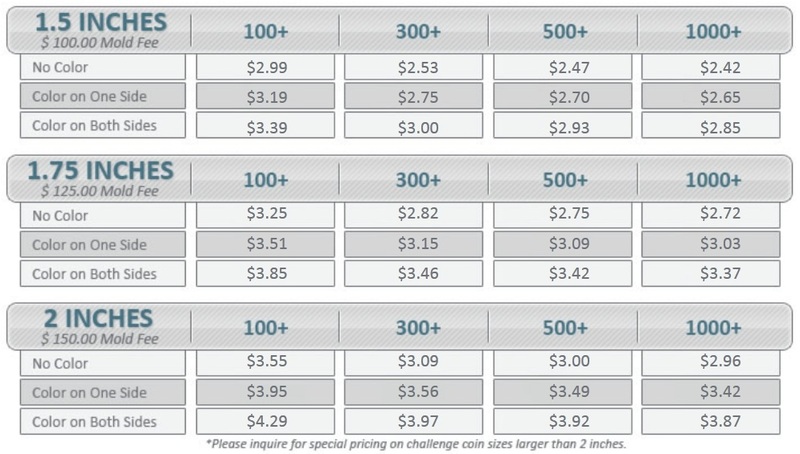 With industry-leading options and helpful tips on ordering your coins, the process is a breeze! During the filming of Iron Man 2, director Jon Favreau presented ‘Iron Man’ challenge coins to the troops stationed at Edwards Air Force Base. It was during the production crew’s time aboard the base that they bonded with the troops by exchanging these customized challenge coins. Favreau and crewmembers were given battalion and squadron challenge coins by service men and women stationed on the ship. Favreau was honored by the gesture, and in return, had customized Iron Man 2 challenge coins made and handed out to the troops. The specific scene filmed at Edwards is that which showed arms dealer Justin Hammer shopping for high-tech weapons on the black market. Favreau wanted complete authenticity for the scene, and so he had real weapons used as props. Although there were no sightings of Robert Downey Jr. on the set, troops were still thrilled to have a Hollywood film crew on-board. Whenever they had an opportunity, they would walk up to Favreau and other crew members and hand them one of their challenge coins. This began a friendship that both film crew and military service people on board the Edwards will never forget. It was fitting that this friendship was made aboard an Air Force base. Legend has it that the origin of the challenge coin began during World War I amongst U.S. flying squadron troops. Young men from all walks of life wanted a chance to fly the never-before-used fighter planes in war. A wealthy lieutenant belonging to one of these new fighter squadrons decided to have bronze challenge coins specially made for members of his troop. As the story goes, it was one of these coins that saved one crewmember’s life. While flying over enemy territory, German fire shot down one of the fighter pilots. The Germans captured the man and stripped him of all his belongings. However, they did not find his gold plated challenge coin tied around his neck in a leather sack. The overlooked coin would soon save his life. Not long after he was captured, allied troops attacked the prison camp. The soldier escaped into the woods, but French troops soon captured him. They assumed that he was another German soldier in disguise. Just as he was about to get shot, the U.S. pilot pulled out his challenge coin and showed it to the captain. The captain stared down at the coin, and after studying the insignia for a few moments, he told the soldier to put away his gun. He had seen this insignia before. It was American. When co-director Rockwell was asked about how the military service people responded to Favreau’s gesture of giving out Ironman 2 challenge coins, he emphasized that he was incredibly humbled by the unwavering kindness of the troops, and they were grateful that he not only understood, but also respect their culture and tradition. Customized challenge coins are still used today. You can make your own coins for all kinds of events and club activities. Just as the coins helped the film crew of Iron Man 2 connect with the troops, you too can connect with new friends and colleagues through this unique token of appreciation.